Do I Need a Permit to Replace an Air Conditioner Unit in Florida? Having your air conditioner fail on a really hot day is at best a nuisance and at worst a health hazard if people in your household cannot tolerate the heat and humidity that an air conditioner ameliorates. Most of the signs of failure could also indicate some other problem besides a failing compressor. You will likely need a licensed service technician come in to confirm that the problem is the compressor or to make other repairs. Replacing an air conditioner with a bad compressor could save on your electricity bills. How badly the air conditioner is functioning can indicate compressor trouble. If the air conditioner has lost its cooling capacity, if the system will not start--or only the fan, not the compressor, runs--or if it starts and stops, the compressor could be failing. Another sign is if the system runs, but stays on longer than expected and provides little or no cool air. Also, if the air conditioner trips the circuit breaker or blows the fuse as soon as it is turned on, the compressor could be to blame. Do not just install a larger circuit breaker or fuse; doing so creates a fire hazard. Higher electricity bills, even though the air conditioner has operated at its usual temperature settings for a usual amount of hours at the usual weather conditions for the time of year could indicate a failing compressor, as could the air conditioner drawing too little power. If the air conditioner runs but is extremely noisy, with buzzing, banging or clanking sounds, the compressor could be to blame. If the system "hums" but does not start, the compressor could have a problem, although some air conditioners normally emit humming noises or other sounds, so you need to listen for unusual noises. Incorrect--too low--refrigerant line pressure readings could indicate a failing compressor. The pressure readings need to be taken with specific air-conditioner pressure gauges. Unless you intend to service your air conditioner yourself for the next several years, this test is best left to a professional air-conditioner technician. 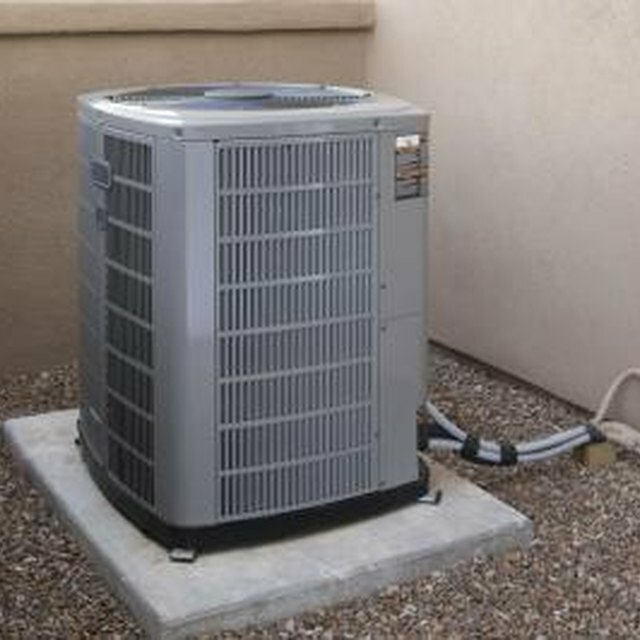 Most residential air conditioners have compressors and condensers that are sealed in one unit. In this case, you will need to replace the unit, as the compressor cannot be repaired. If the two are separate and the compressor has failed, investigate newer model air conditioners to determine if yours is worth repairing or if you would do better in efficiency and electricity savings by replacing it.